We are providing you with the best Kerala monsoon tour packages. 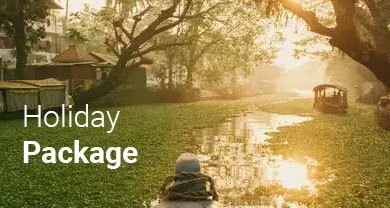 Quick Kerala Holidays has been proudly announcing a perfect holiday package ” Best Kerala Monsoon Package” covering Cochin, Munnar, Periyar ( Thekkady) and Alleppey Houseboat. Kerala is always standing for the best destinations to visit in monsoon season. Kerala Monsoon also brings out the best possible outcomes in Ayurveda and hence, it is considered as an ideal season for Ayurvedic treatments. During the Kerala Monsoon Season With a dust-free and cool atmosphere and as pores of the body are open, it is very receptive to Ayurvedic treatments. So our exclusive Kerala Monsoon Tour packages are good for Ayurvedic and also for exploring the utmost beautiful and natural sightseeing destinations of Kerala during the raining season. Enjoying Kerala while Monsoon with Quick Kerala Holidays is at its best and it is an experience that cannot be unmatched. The Kerala Monsoon Holiday Package is known of rejuvenation combined with nature and ancient Ayurveda. Kerala Monsoon Tourism attracts a large number of people annually in the state. Day 05: Thekkady To Alleppey.